Bald eagles are very popular sea eagles in the US because they are the national birds of US. Bald eagles are not actually bald. The word bald is a modification of an old English word “balde” that means white. They are identified by their white head with a yellow beak. They are the largest raptors and sits on the top of the food chain. Bald eagles are the largest raptors that weigh around 9-15 pounds. Females are bigger and heavier than the males. Bald eagles have brown colored feathers on their bodies. They have a white head, yellow beak, and white tail. They are about 3 feet long, but their wingspan is up to 6 feet wide. Bald eagles are carnivores (meat eater). They hunt down smaller animals including fishes and birds for their food. They mostly hunt salmon fish, rabbits, and ducks etc. Bald eagles are excellent hunters with very good eye sight. They fly high in the sky and watch for prey. 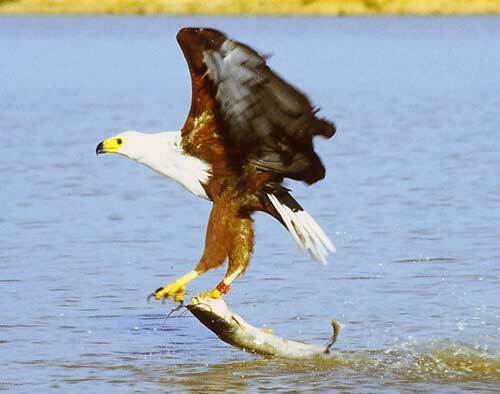 When the prey is spotted, they dive very fast with a speed of 160 km/h towards it and catch it with their sharp talons. 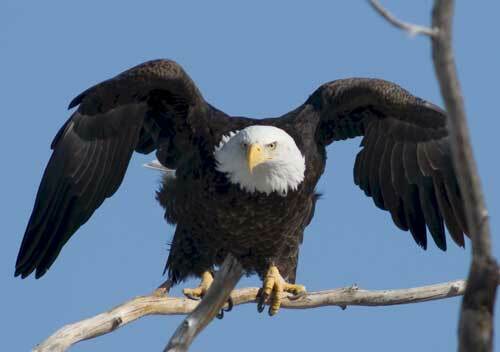 Bald eagles are found the 50 states of US. They prefer to live near lakes or oceans where they can find food easily. They make their nests in the trees near the oceans or lakes. Bald eagles are not endangered species in these days. However, in 1967, over-hunting had brought them near extinction. But thanks to the good conservation efforts and laws made to protect bald eagles. Their population has increased very much in 40 years. They are now out of endangered species list and are placed in the least concerned species list. Bald eagles can fly to great heights up to 10,000 feet. Bald eagle is the national symbol of US, and it is also on the seal of the president of US. 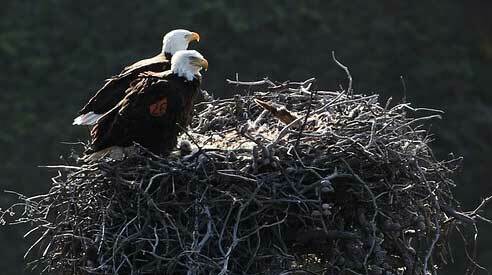 The nests of bald eagles can be at the depth of 13 feet and can weigh as much as 2,000 pounds. 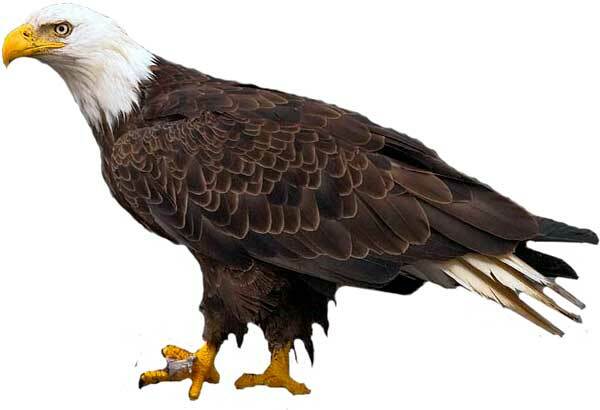 Abdul Wahab, "Bald Eagle," in Science4Fun, April 13, 2019, http://science4fun.info/bald-eagle/.